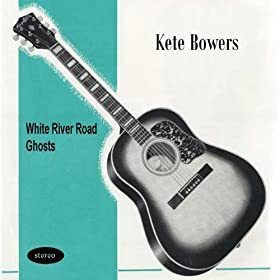 Liverpudlian Kete Bowers delivered a fine album with his 2011 release Road which featured the great BJ Cole on pedal steel. Introduced to American music by his Scottish grandmother who played Hank Williams, Elvis Presley, Roy Orbison, Jim Reeves and Jerry Lewis on the family turntable he turned in a set of wearied songs that could have been conjured up in a dusty Austin bar. Two years down the line and he pops up again with a single release featuring two new songs. Harking back perhaps to his grandmother’s tastes the “A” side, White River Road is a laid back ramble with a tasty guitar twang and some sweet pedal steel (no Cole this time as the steel is supplied by Paul Hilton). Lyrically Bowers also harks back as he sings “I’ve lost friends to angels, gods and stars” while the twanging guitar creates a memorable hook that recalls Richard Hawley’s fatback moments. The “B” side, Ghosts is a starker affair and reminds one of the better moments from his album. The pedal steel is joined by organ to provide an atmospheric backdrop to Bower’s cold acoustic lament. As it slowly jangles along Bowers describes a ghost town of the soul and Hilton’s pedal steel cries into the sky with shivering effect. Hopefully this is a precursor to more of the same on an album yet to come. Tiny Television. Just This Side of Everything. 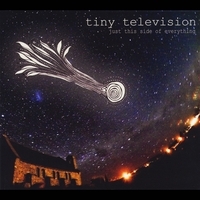 San Francisco based Tiny Television released their fine debut, Mission Statement, back in 2009. A dusty Dobro driven slice of classic Americana its weathered well and still gets played in the Blabber’n’Smoke habitat. Four years down the line and one successful Kickstarter campaign later Just This Side of Everything crawls into the light of day and after rubbing its eyes and adjusting to the light goes on to prove itself a worthy successor to its elder sibling building on the more melodic moments from Mission Statement such as Carolina and the southern country funk of C.R.E.A.M. which was that album’s highlight. Retaining the core of the band that recorded Mission Statement (Drummer Dan Luehring and guitarist Dave Zirbel ( on guitars, banjo, Dobro, wurlitzer, piano and pedal steel with the bass baton is taken up for the most part by Mike Anderson) mainman Jeremy D’Antonio provides all of the songs and delivers them with a fine relaxed drawl that inhabits a careworn space much as the early Kris Kristofferson did. Kicking off with a brief variation on That’s Alright with a rockabilly skip and some excellent Dobro work the song then dips into Swing Low Sweet Chariot before winding up. An odd opening given that D’Antonio has a fine handle on his song writing as evidenced by the following Fire In Your Heart. This is a great song with the band channeling Springsteen’s pop touch, it’s not a million miles away from the boss’s Dancing In The Dark period, hook laden and radio friendly with the band and in particular the keyboards providing a triumphant swell. Jungle drums introduce Virginia before a Duane Eddy cowboy guitar rumble propels the song into Western territory with a widescreen vista as D’Antonio sings of his lost love while Jess Denicola on backing vocals summons up a zephyr blowing his memories away. With a short, knife sharp solo from Zirbel this is rousing stuff. The banjo driven Brother with its barroom piano moves the band into country mode while Devil delves into older and more primeval roots as Dobro and banjo snake their way through swampy atmospherics from the rhythm section. D’Antonio clings to the song like a drowning man singing from the well of despair, spooky indeed. Most folk probably think of Appalachian mountains and woods or fetid Southern climes when it comes to the rootsiest Americana music. Charlie Parr, who comes across as a dyed in the wool backwoodsman reminds us that the frozen north, home of strip mining and decaying industrial landscapes has its own history. Duluth, Minnesota is his stamping ground and lest we forget Dylan was forged in the folk scene in Dinkytown where the likes of Koerner, Ray and Glover were assimilating the lessons learned from the Harry Smith Anthology of American Music. Thus a second wave of performers who had learned the classic repertoire from records and who had no direct contact with the everglades, cotton fields or hillbillies populated the sixties. Parr is another step in this evolution and on this, his eleventh release he highlights it with two songs that were recorded by “Spider” John Koerner and adds eight of his own songs that sound as if they have been exhumed from the dirt with an authenticity that is spot on. Playing a resonator guitar and occasional 12 string and fretless banjo Parr recorded this album live to tape with accompaniment from Mikkel Beckman on washboard and Dave Hundreiser on harmonica. He can whip up a storm as on the opening Jimmy Bell or deliver a sentimental and heartrending ballad such as Jesus is a Hobo (with partner Emily Parr on harmonies). He writes some acutely penetrating scenes whether it be the memory of his father looking to shoot a badger bothering his crop or the misleadingly jaunty murder song Groundhog Day Blues where he attempts to get revenge on the mailman who cuckolded him only to blow up his own house. Henry Goes to the Bank is the tale of the tittle tattle enjoyed spuriously by a bank worker’s colleagues when he fails to turn up for work. We don’t find out where Henry went but it’s a perfect capture of small town gossip and prurience with the plinking banjo and homemade percussion resembling the clatter of chit chat in the canteen. There are some sinewy blues numbers such as True Friends featuring some excellent slide playing while Motorcycle Blues rattles along with propulsive harmonica as it portrays a frustrated racer who wants to test drive a Batmobile. However our favourite is the opening track, Jimmy Bell. Parr, Beckmann and Hundreiser deliver this traditional piece in fine style with the guitar, harp and percussion driving the song along and at a faster pace than the Koerner, Ray and Glover recording on Blues, Rags And Hollers. In fact listening to this we were reminded of those other exponents of the blues back in the sixties, Canned Heat with Al Wilson. All in all one has to be grateful for artists such as Parr who can help us reconnect with the original folk who recorded the scratchy 78s Harry Smith collected. Long gone we can only imagine what they really sounded like but listening to an album like this or seeing Parr live can slice through the mists of time allowing us to be on a plantation in the 20’s or in a college dorm in the sixties experiencing Goosebumps as the slide guitar slides and the vocals holler and moan. 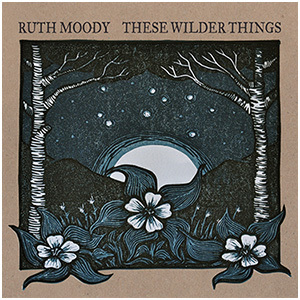 Taking some time out from her regular gig as a member of the Wailin’ Jennies Ruth Moody releases her second solo album just in time to promote her UK tour which includes a six night stint at the Royal Albert Hall as a special guest of Mark Knopfler. Knopfler appears on These Wilder Things along with Jerry Douglas and our very own John McCusker along with Mancunian whistle player Michael McGoldrick. A little less folky in its overall sound than its predecessor, The Garden, These Wilder Things showcases Moody’s wonderful voice and there are some excellent moments such as on One Light Shining which features Douglas on Dobro along with Aoife O’Donovan on harmony vocals. The Celtic tint on Life is Long adds an air of mystery and mists to a song written by Moody but which sounds as if it’s been sung in bothies over the centuries while Trouble and Woe which opens the album is a rousing skirmish with banjos and fiddles flying about. While the remainder of the album fails to reach these heights there is plenty to enjoy with the title song featuring a mournful brass band while Knopfler’s guitar adds some laid back twang to the song Pockets. Aside from the starry guest list David Travers-Smith (who produced), Adam Dobres and Adrian Dolan provide some excellent picking and playing throughout while the closing song, the plaintive and restrained Nothing Without Love pares the backing down to ukulele and piano allowing Moody’s voice to shine. There is one fly in the ointment, a cover of Springsteen’s Dancing In The Dark. Although it’s given a credible run-through the jaunty mixture of the regular acoustic instruments with a cello seems somewhat misguided and its very familiarity causes it to stick out like a sore thumb here. Perhaps one that would have been best kept as a live audience pleaser. Speaking of which Moody is currently touring the UK. Dates are here and she plays Glasgow on Friday 24th May at the CCA. The Quiet American and Pharis & Jason Romero. Husband and wife duo Aaron and Nicole Keim, collectively known as The Quiet American have come up with a neat concept on their album Wild Bill Jones. While it’s not as well known as similar songs such as Stagger Lee or Long Black Veil Wild Bill Jones is a staple of the old time country songbook telling the tale of Jones being caught in flagrante delecte and shot dead by his lover’s lover. The album takes this song and weaves a back story around it creating an artefact that works on several levels. Taken at face value it’s a superb selection of songs and tunes that showcase the Keim’s virtuosity as they deliver a collection of traditional and self penned numbers along with a few selected covers. With guitar, banjo, ukulele, lap steel, keyboards, percussion and glockenspiel at their disposal (along with assistance on fiddle and harmonica) they conjure up an old time feel that is sepia toned and reeks of authenticity. Delve a little deeper and the storyline emerges, almost a screenplay as they inhabit the protagonists in this fatal love triangle and add an audio backdrop that lends colour and veracity to the story. The album starts with a boastful swagger depicting young girls as ripe for the plucking on Apple in the Fall and the meeting of Bill and Posey at a dance in Give The Fiddler a Dram. Bill puffs his chest out on the strutting Come Walking With Me while Posey ponders on her beaus before offering a witness account of the killing as she chose to go with the dashing Jones. Thereafter the killer has a chance to reflect on his afterlife on Keys To The Kingdom before he is led to his punishment depicted by a rousing version of Gallows Pole. Posey, bereft, wonders What Are They Doing In Heaven Today. Gathering her strength she rallies with the uplifting Free Little Bird and finally reflects on the whole goddamn mess as they end the album with a cover of Daniel Johnston’s True Love Will Find You In The End. Story told but in between these songs the Keims add colour and atmosphere with a slew of instrumentals that recreate the era including a fine version of John Fahey’s Sunflower River Blues along with some fine traditional tunes with John Brown’s Dream being particularly evocative. This almost forensic investigation recalls the methods employed by film critic David Thomson in his novel Suspects where he unearths the unedifying truths that connect It’s A Wonderful Life and The Shining. On a more prosaic note one recalls Fairport Convention’s album on the failed attempts to execute Babbacombe Lee. As an imaginary soundtrack Wild Bill Jones is excellent. Strangely enough the song Wild Bill Jones features on Long Gone Out West Blues, the latest offering from Pharis & Jason Romero. Another couple it’s almost spooky to consider that both Jason Romero and Aaron Keim are accomplished luthiers and that both couples are drinking from the same traditional well. Pitched up in British Columbia where Jason runs the J. Romero Banjo Company the pair have lengthy and separate musical histories before hitching up in 2007. 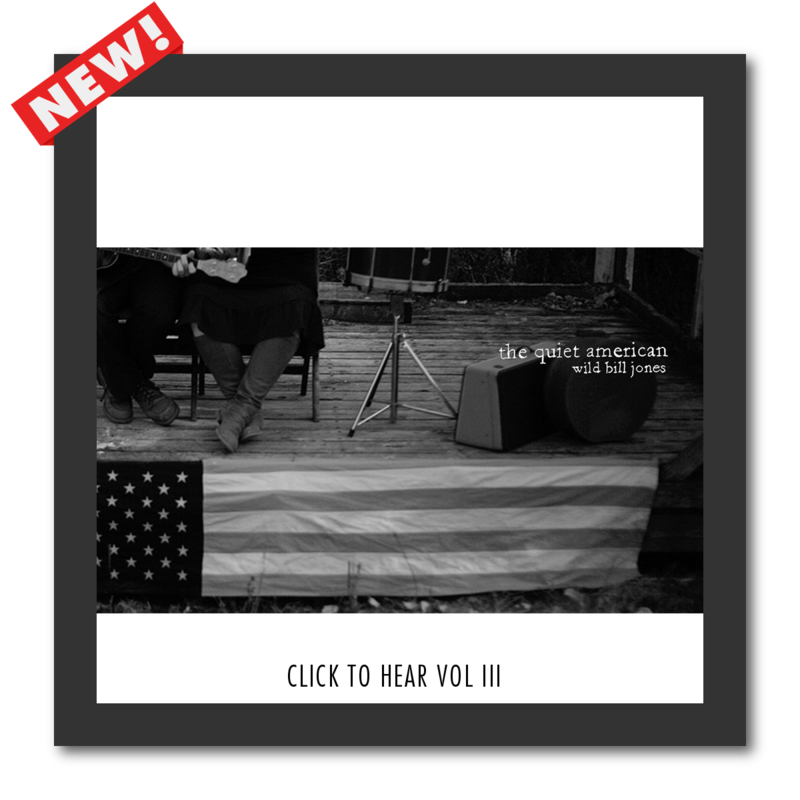 Long Gone Out West Blues is their second album and it’s a perfect offering of handpicked and hand plucked songs and tunes, some new and others borrowed from the canon. Using banjo and guitar they share and swap vocals and listening to this it’s not unlike hearing a Gillian Welch album with David Rawlings sharing more of the spotlight. The spare sound of vintage Martin guitars and Jason’s self built banjos is superb and there are moments here when one is mesmerised by their picking. Both sing well and their harmonies are divine throughout. The two instrumental numbers delicately highlight their instrumental empathy and they deliver fine versions of Wild Bill Jones (acknowledging a debt to the Doc Boggs version), Waiting For The Evening Mail, a Riley Puckett number and Truck Driver Blues from the pen of Ted Daffan. Pharis’s own songs are indistinguishable from these vintage offerings with the title song, I Want To Be Lucky and The Little Things Are Hardest In The End standing out, the latter in particular sounding like the saddest song the Everly’s never recorded. A tremendous album and well recommended.